>Sydney, Australia has lots of markets for tourists and locals to visit and shop at from food to clothes to souvenirs, they have it all. 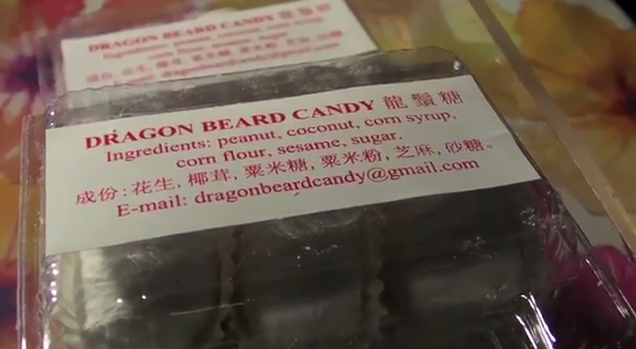 One of my favorite markets to visit on my recent trip there was the Friday night markets in Chinatown and that is where I first learned about Dragon Beard Candy. Walking the stalls with my friend Mica, we tried various interesting types of food like meat sheets (BBQ Meat), curly potatoes on a stick and when we walked past the Dragon Beard Candy stall it caught our eye. 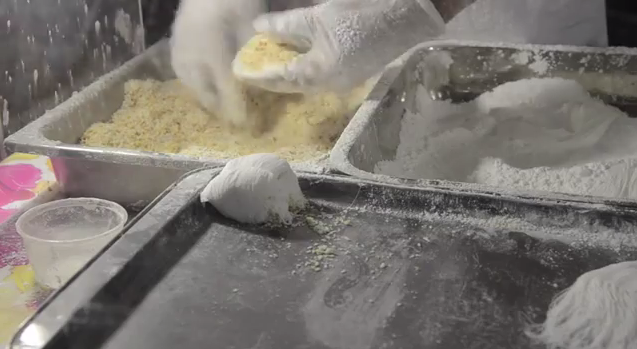 Two men stood there with their hands in trays of cornstarch pulling on what I learned to be sugar and doubling it over again and again until it was pulled into fine strands. The sugar is then torn apart with a mix of coconut, sesame and peanuts placed in the center then folder over to make this yummy treat that is slightly messy to eat. Originally a dessert only for Emperors after the dynasty fell the recipe was shared amongst all and now is a treat everyone can enjoy. 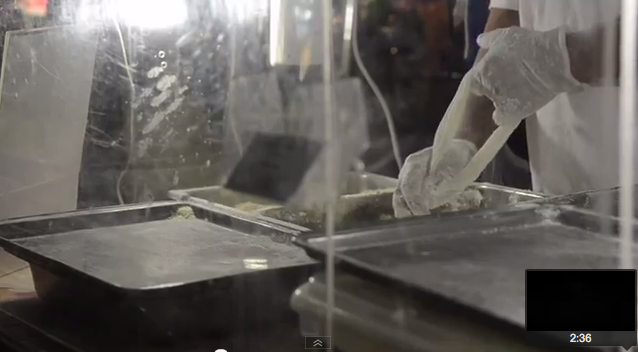 To learn more about Dragon Beard Candy watch my video to see exactly how it is made. Photographed and filmed mostly with a Nikon D5100 using a 17-55mm lens. Looks tasty! I’d be a mess with this though, I guarantee you I’d get it all over my shirt and most likely in my hair as well.